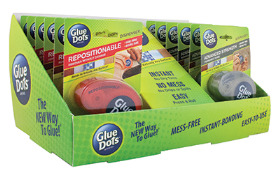 The new range of hardware and DIY adhesives from Glue Dots International is now available from Wilsons, Colchester. Available in a variety of formats including repositionable and advanced strength making them ideal for almost any DIY challenge. The range is now in stock at Wilsons.